Fancy something a bit different for Christmas? Posted on 20th December 2013 by Ben. 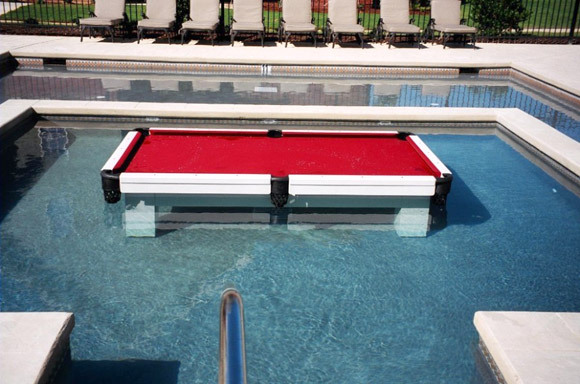 If you’ve ever been lounging in your pool and thought how great it would be to play a game of pool then this waterproof pool table is aimed squarely at you. It’s fully weatherproof, so you can leave it out all year round and, at $6,500, you probably don’t have to worry about spilling your drink on the baize either. 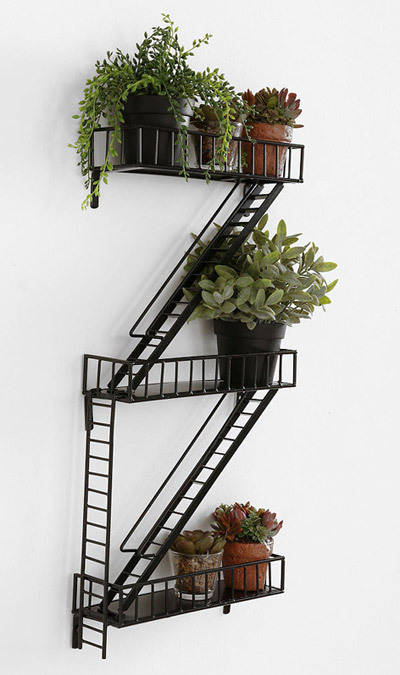 These cool Fire Escape shelves from Urban Outfitter’s US webstore bring an iconic feature of countless American apartment blocks and cop shows to your home. Though they might not be the most practical of shelves they are great to look at and are a unique reminder of your time stateside. If space is a problem in your home then you’ll the right equipment for exploring it. 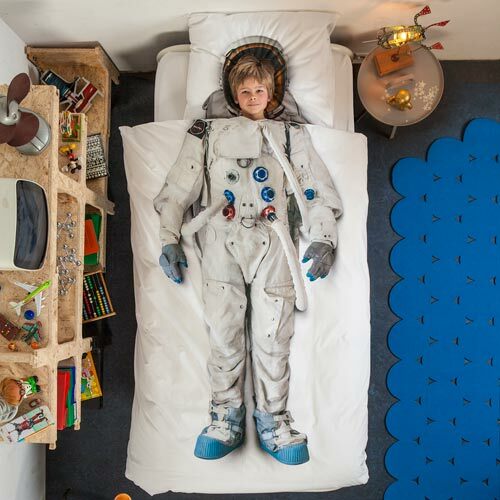 This brilliant duvet and pillow set from Dutch designers Snurk comes in both single and double sizes so big and little kids can both indulge their dreams of being an astronaut. 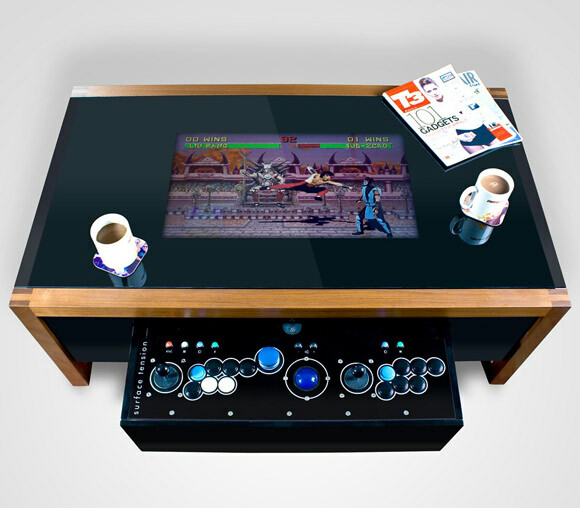 The Arcane Arcade Table takes it’s inspiration from old videogame tables that were briefly popular back in the Eighties, so you’ve always got somewhere to rest your drink while you’re playing. The Arcane table updates it with a simple, stylish cabinet and over 100 classic 8-bit videogames, including Bubble Bobble and Dungeon Crawl. Posted on 18th December 2013 by Ben. When it comes down to it we all want great pieces of furniture to do two things: look fantastic and be luxuriously comfortable. Designer of innovative furniture, Varier, has created a wide range of chairs that tick both of these boxes combining elegantly sculptural forms with the more practical considerations for comfort and posture. 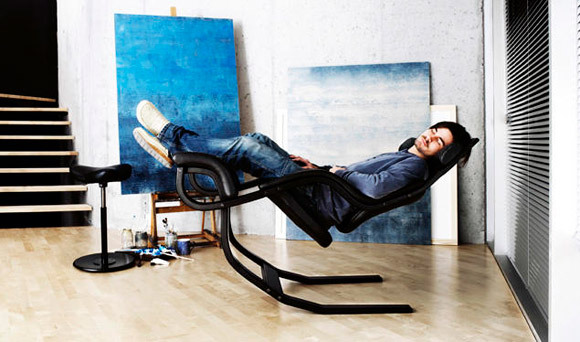 The Gravity Balans Chair is a great example of this, it’s large gravity-defying form providing a beautifully balanced cradle for resting and napping. The recliner allows you to put it into four positions, so you can take pressure off your spine, while it improves blood flow by having your heart lower than your head and feet. The incredible design is sure to be a talking point as well as providing a welcoming rest at the end of a hectic day. Posted on 17th December 2013 by Ben. 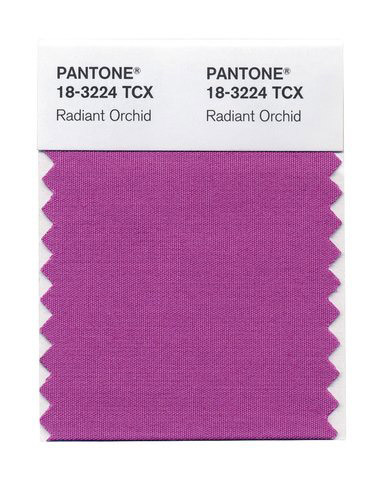 If you like the look of Radiant Orchid then Pantone recommends pairing it with olive, turquoise, teal and light yellows. 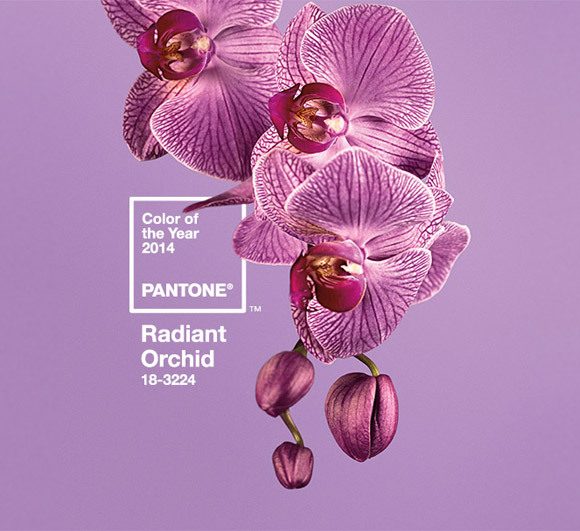 Or you could use it as an accent colour beside more neutral tones like grey, beige and taupe. Posted on 6th December 2013 by Ben. Tech accessory manufacturer Belkin’s WeMo range is designed to be a quick and simple route to home automation. It basically consists of a series of plug adaptors that can be switched on and off via an app on your tablet or smartphone and your home wifi. You can also schedule when appliances come on, while a motion detector can also be added to trigger the lights in a room when someone enters. Because you only need a WeMo adaptor, the system is scalable to whatever range of lights and appliances you need. Making it a cheaper way to get your home automated.